If you happened to click on the title of this post, you must have come to know what I am going to talk about. Now you are going to click on it right? It was all Sony in the mind before I came across this cute little thing. Now I feel it could never have been a Sony. 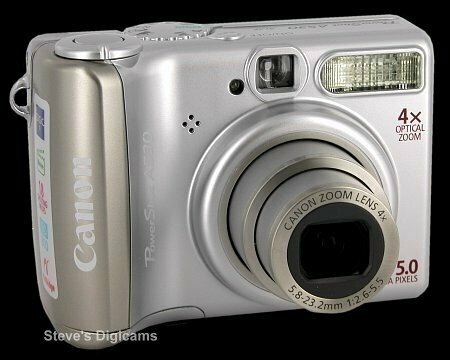 According to me the Canon PowerShot A530 is the cutest thing in the world of cameras. This might sound like a biased review, stepping into the shoes of a consumer type who would not like to conclude at the end of the day that his decision was wrong. Unfortunately I did not get enough time at home to explore the little master, but after reading many unbiased reviews of experts around the world, I can feel satisfied that my decision echoes with people who know. I can’t wait to paste a huge photograph of the smart photographer in my post. So here comes the small wonder..
Possesses all the features that matter, added to it the sleek and attractive look and feel. Just a handful in size. What more can I say.. I feel like putting my hand into the screen and hold it in my hands. Meanwhile I plan read more about the camera and get inspired, and dedicate next few posts on my blog on the small wonder.